A photo shoot that is well planned and thoroughly thought out is one that is likely to stay well within your budget. At the planning stage, outline the number of days you will need to spend at the location, look at accommodations/ pricing/ discounts applicable for bulk bookings, and factor in a few ‘buffer’ days in case the weather forces you to put off the shoot. Brainstorm with your team and think of all the expenses and all the contingencies that could have a financial impact and factor all of them in. Once your plan is ready, you can make a realistic budget that is easy to stick to. Talk to people in the know about the location and if you have colleagues who have recently completed photo shoots there, make sure you get their advice. They can give you some valuable inputs about the expected and unexpected costs they encountered during the shoot and also help you get a fair idea of the general pricing levels for various expense heads there. Here at the Global Media Desk we conduct shoots all the time all over the world. Feel free to drop us a line should you have questions! Work with local crews who know the local terrain, language, and customs and won’t incur travel costs or need to ship their equipment to the shoot location. Local crews not only help keep your budget down but their insider knowledge of the area with help to avoid any potential problems that could cause your budget to skyrocket. Be sure to check on the crew’s language skills and review their past work before signing them on. We can definitely assist should you need options for local crews – that’s our specialty. Just let us know. We work with crews with at least 5 years of experience, and a proven track record of work with international clients. Traveling to various locations for your shoot can become very expensive especially if you will be shooting at remote locations that do not get many visitors. Hiring transport locally for the length of your shoot may be a cost effective plan if you can get a driver who is familiar with all the routes and directions. Hiring a car and making your own way may result in mounting fuel expenses and time delays if you end up driving around trying to locate the place. Furthermore, if your budget allows for it sending a location scout to do the leg work in advance and find the perfect locations might be more cost effective than driving around once on the ground. Some locations may require special permits from the local authorities and you will need to pay for these too. Though the charges may be nominal, these expenses can add up and tip your costs over the budget. Before you leave for the shoot, check if the locations you have in mind require any such permissions and, if so, how much you will need to pay. Factor this into your budget for the trip. Does your destination country have special visa requirements? You can check on such useful sites as http://www.projectvisa.com/ or http://www.visahq.com/visas.php. If you will be bringing in a lot of equipment, or obviously-professional looking gear such as lights, etc., you may want to seriously consider getting an ATA Carnet (http://www.atacarnet.com/). This travel document will allow you to easily bring your gear in and out of any member country without running the risk of having to pay stiff customs penalties. It is always advisable to check with the local team what gear they have available on the ground and what you can just rent locally. That will help shave that extra baggage, and reduce luggage fees. At the Global Media Desk we have helped hundreds of companies make their international photo shoot happen on schedule and within budget. We are here to help! Please contact us if you have any questions or need any advice on the best way to handle your photo shoot abroad. There’s more to festival strategy than blindly dumping your film into the Sundance hat on Withoutabox and impatiently waiting for your impersonal rejection letter months later. Once you emotionally cope with not playing ball on the big league festival circuit, should that fate come to pass, quite a few nice exhibition opportunities still remain out there peppered amongst the vast wasteland of festivals existing with little purpose beyond siphoning cash from publicity-starved independent filmmakers’ pockets. A little googling goes a long way when trying to separate the men from the boys in the festival realm, if you’re willing to put in the time – something an independent producer with less-than-desirable financial backing had better be enthusiastic about dedicating to their projects. The goal in doing so will be to single out festivals with agendas that align with or have a physical proximity to the themes and/or subject matter in your film, upping your chances of being programmed and thereby making the money spent on the costly submission process a little more worthwhile from an aggregate standpoint. 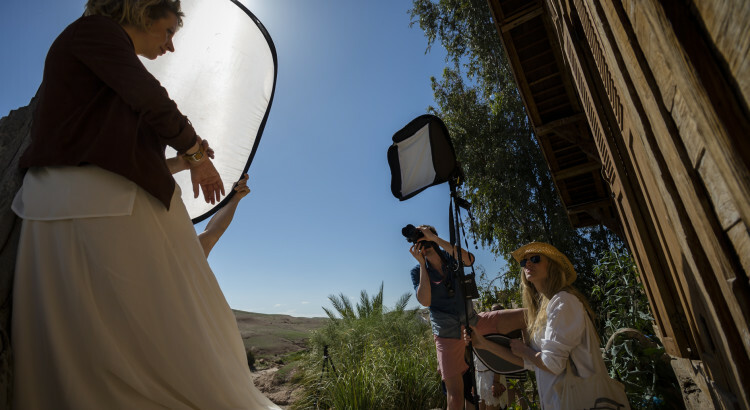 Was your film shot in the desert? The Phoenix festival is well done, and their programmers clearly don’t mind deserts. Have a gritty New York film? There’s a ton of smaller neighborhood festivals in NYC that will give you a screening opportunity in a major market if you’re accepted, giving you something substantial to pitch to journalists and distributors in town when you’re cajoling them into leaving the confines of their overpriced NYC apartments to come out and see your film. 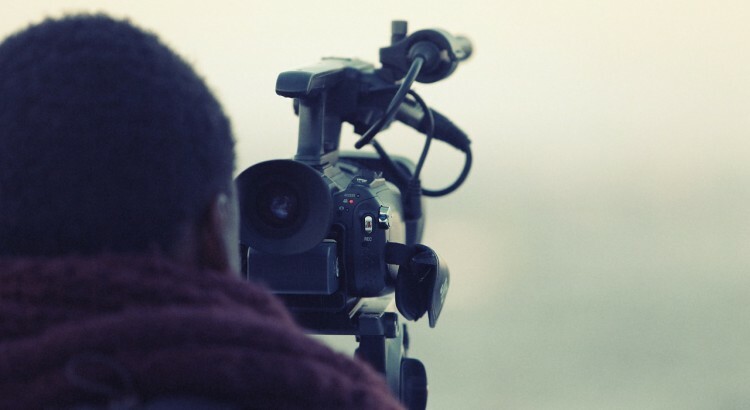 Did you produce your film on a particularly low budget? Look for festivals that cater to micro-budget filmmaking/filmmakers, and stress how far you stretched every dollar that was spent putting your story on screen. Oh, and include a cover letter when you send in your film! Surprisingly few filmmakers take this opportunity to separate their submission from the pack with an eloquently-scribed love letter about their baby and all the hard work that went into it. Single out a handful of particularly impressive attributes about your project – highlights that should already be covered in your beautiful EPK anyhow – and pitch them in the letter as enthusiastically as your mom pitched that noodle collage you made when you were five, which still hangs on her fridge, to her friends. Ultimately, understand that selection committees are just a grouping of human opinions, not an omnipotent collection of film gods – appeal to their sensibilities, and your submission becomes more than just another film in their digital pile. 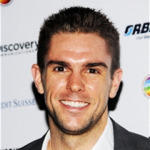 Josh Folan is a producer, writer, director and actor with professional credits dating back to 2005, prior to which he studied finance at The Ohio State University. He founded NYEH Entertainment in 2008, and his third feature, a dark thriller titled “catch 22: based on the unwritten story by seanie sugrue,” is currently available for preorder @ http://catch22movie.com. The low-budget indie how-to case study “Filmmaking, the Hard Way” was his first crack at writing a book, and you can follow he (@joshfolan) and NYEH (@nyehentertains) on twitter and facebook if you’d like to keep up with his coming soons. All of those amazing aerial shots that you have only dreamed about filming are about to become reality. 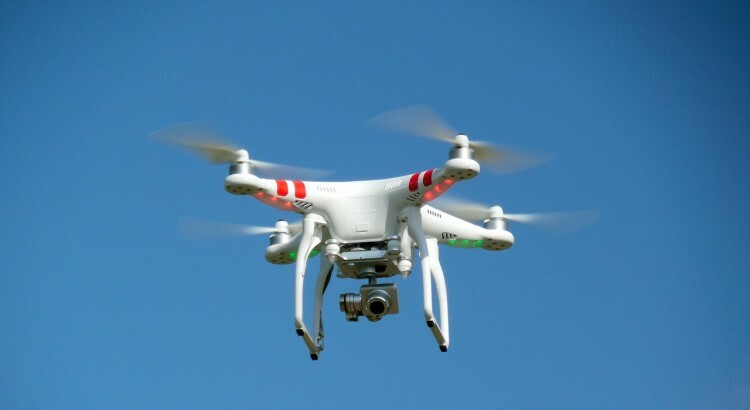 Six television and movie companies have been approved by the US Federal Aviation Administration (FAA) to use drones for shooting scenes. The approval is the first exemption of its kind, and only the second time the FAA has waived its own prohibition against flying drones for commercial purposes. In granting the exemptions, the FAA has restricted the drones from making flights at night, required that flights take place on sets closed to the public, and aircraft must be inspected before each flight. “This is the first step to allowing the film and television industry to use unmanned aircraft systems in our nation’s airspace, and it’s a milestone in the wider effort to allow unmanned aircraft for many different types of commercial use,” Transportation Secretary Anthony Foxx said in a conference call. Other industries that are seeking exemptions include precision agriculture, power line and pipeline inspection, and oil and gas flare stack inspection. When planning a shoot in a country where you don’t hold citizenship several important factors come into play. One critical item that must be taken care of before departure is to ensure that you have the required visas. Arriving in a country without the correct documentation could mean a denied entry and spell disaster for you shoot. 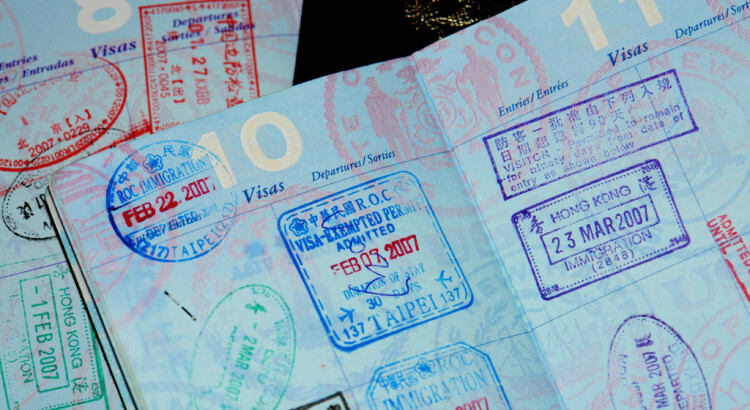 Some countries will issue a visa upon your arrival, but it is not a common procedure. Most visas must be obtained before leaving your home country and could take weeks to months to be issued. You will almost certainly need a visa if you plan to remain in a foreign country for a longer period (usually more than 90 days). You are also responsible for ensuring that your passport contains empty visa pages. If the pages of your passport have become filled with visas or entry and exit stamps you will need to apply for a new passport before your travel. At the Global Media Desk we highly recommend that you use local crews whenever possible. With local crews you don’t have to worry about the hassle of visa requirements and you get an expert in area. It’s a win win for everyone!